The flowing lines that run the width of the dashboard are one of the eye-catching features of the new LS’ interior. This unique design is inspired by the strings of a koto, a traditional Japanese instrument, often referred to as a Japanese harp. While the cabin has many subtle hints of traditional Japanese aesthetics, the styling of the dashboard is a clear reminder that the LS is a car that embraces the traditions and customs of Japan. The qualities of omotenashi hospitality in the new LS sedan are not confined to the well-being of passengers, they also address driver fatigue and alertness with a massage programme integrated into the driver’s seat. This feature helps refresh the driver and maintain their level of attention on the road, so making for a safer driving experience. Lexus works with vision and dedication to find ways of anticipating the needs of the people who use and enjoy our products. The shiatsu massage functions in the LS are another example of how we create amazing in our vehicles. The new LS can be specified with a front seat equipped with a refresh feature that performs a shiatsu-style massage on the occupant’s thighs and back. It is an example of how Lexus’ human-centred engineering can enhance the well-being of vehicle occupants. The system offers five different massage courses, two of which cover the full body and three which focus on specific areas. These can be selected via the car’s multi-information display. This special feature helps the driver keep their mind and body refreshed, without affecting their operation of the vehicle. The LS has an inviting cabin that captures the Lexus ethos of omotenashi – hospitality. The subtle effects of the interior lighting are a detail that help set the mood in what is designed to be an inviting and luxurious space. In the new LS, lights are strategically positioned low down in the cabin to provide a gentle illumination that welcomes passengers the moment the door is opened. The interior lighting draws on Japanese culture, being reminiscent of the way andon lamps were used to illuminate Japanese tatami rooms during the Edo period during the 17th and 18th centuries. Designers were inspired by the gentle glow of these lamps produce. In the LS’ cabin, the lighting helps create a relaxing and peaceful atmosphere that can reduce stress during night-time driving. Light sources are located behind the door ornamentation panels and the armrest to provide downward light that directly illuminates the occupant surroundings. The andon-style soft lighting used through the interior also enhances the sense of spaciousness. Entering and exiting a luxury vehicle shouldn’t be awkward or uncomfortable, or feel like a chore. While many luxury sedans sit lower to the ground to help maximise aerodynamic performance at highway speed, the Lexus LS is equipped with a new air suspension that provides the best of both worlds. This height-adjustable system maintains a low ride height when driving, but raises the car’s level when parked to make it easier for people to get into or exit from the vehicle. Lexus’ new electronically controlled air suspension has an “access mode control” which automatically raises the vehicle height when people are getting into or out of the car, making it a more comfortable and relaxed procedure. Access mode control operates automatically when the doors are opened or closed, or locked and unlocked, anticipating the occupants’ requirements true to the ethos of omotenashi. Lexus has established a long and successful relationship with Mark Levinson, the world-renowned manufacturer of the finest quality audio systems and pioneer of new frontiers in sound reproduction quality. This partnership, unique in the global auto industry, has reached a higher level with a new Mark Levinson Reference Audio system designed exclusively for the new Lexus LS flagship sedan. The aim has been to provide an exceptional listening experience, capturing all the tonal subtlety and power of music as if you were listening from the best seats in a concert hall, undisturbed by external noise or interference. No fewer than 23 speakers are featured in the new 3D Surround Mark Levinson 3D QLI Reference Surround System, unique to the new Lexus LS. Strategically positioned in 16 locations around the vehicle’s interior, they deliver sound reproduction of a higher quality than ever before experienced in a Lexus. advanced Quantum Logic Immersion technology divides audio sources into separate streams, then mixes them to create an ideal sound environment. And by applying Clari-Fi® technology, even the quality of compressed digital files is maximised. In the new Lexus LS, omotenashi hospitality means that providing a comfortable cabin temperature is not simply a matter of heating and cooling. The sophisticated Climate Concierge monitors the body temperature and environment around each occupant, automatically adjusting warmth, ventilation and air quality to achieve the ideal level. The new LS sedan uses the latest version of Lexus’ Climate Concierge to achieve more precise control of the cabin environment than ever before. A network of infra-red sensors constantly monitors 16 separate zones around the cabin, making fine adjustments to air temperature flow and direction, and co-ordinating with the operation of heating and ventilation systems integrated in the seats. It will even take into account external factors, such as uneven heat caused by sunshine through the windows. It is not just the design of the new LS sedan’s interior that produces an exceptionally serene, relaxing and calm environment. 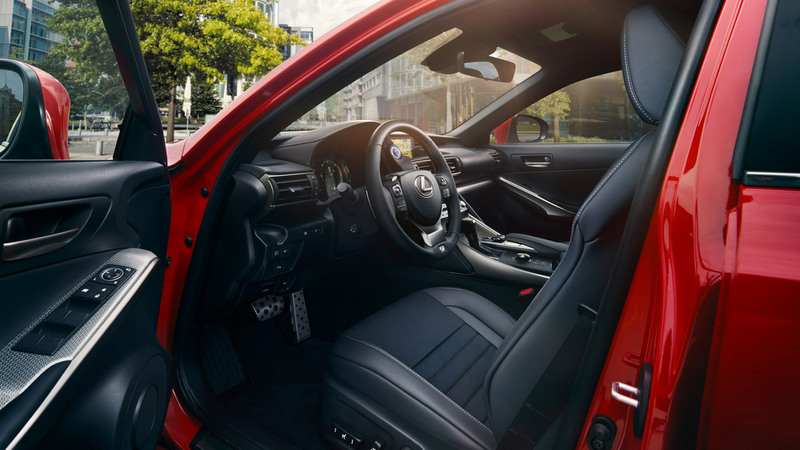 Lexus has explored every detail to achieve the quietest possible cabin, including using a new kind of wheel that suppresses noise generated by the tyres. The noise-reduction wheels help minimise noise intrusion to provide a quieter ride, even when the vehicle is travelling at speed. The secret of Lexus’ noise-reduction wheels is a design that eliminates sound waves generated by vibration of the air inside the tyres. These sound waves are channelled to a resonator hole in the rim of the wheel and into a hollow structure where friction converts them into heat. Not only do the wheels help prevent noise disturbance reaching the cabin, they also are also lightweight and highly rigid, qualities that contribute to the LS’ fine handling and fuel efficiency.